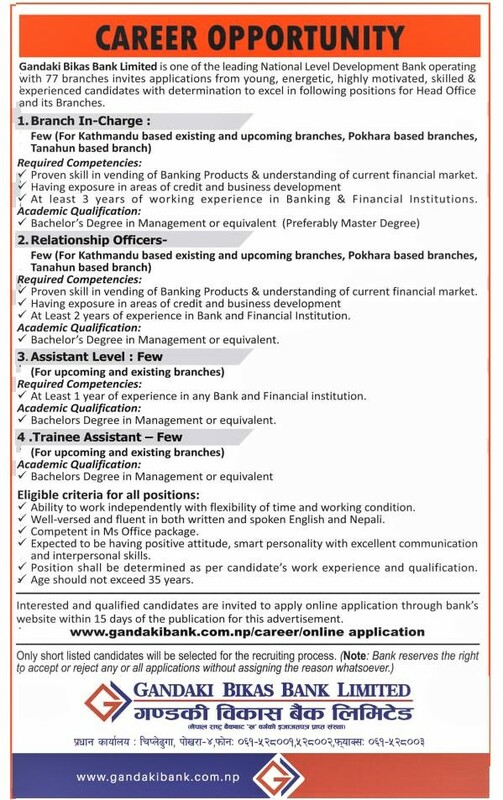 Home / Banking jobs / Vacancy / Career Opportunity at Gandaki Bikas Bank Limited. Career Opportunity at Gandaki Bikas Bank Limited. Gandaki Bikas Bank Limited invites applications in following positions for Head Office and its Branches.